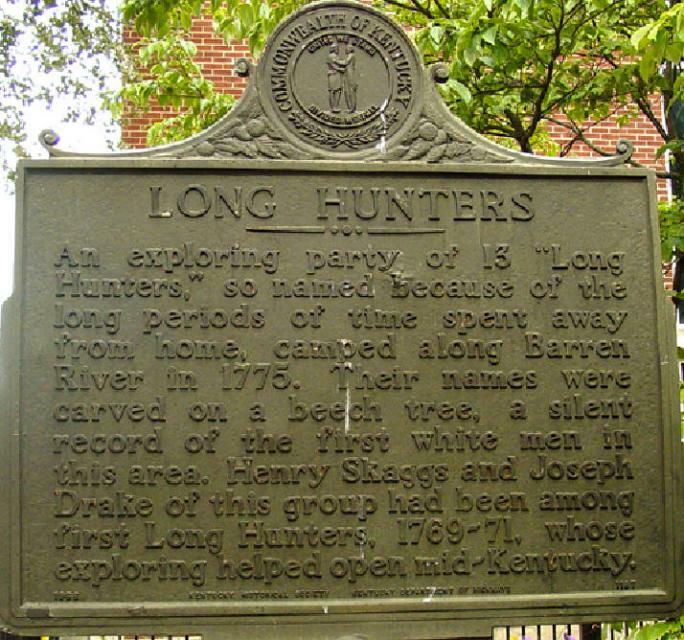 An exploring party of 13 "Long Hunters," so named because of the long periods of time spent away from home, camped along Barren River in 1775. Their names were carved on a beech tree, a silent record of the first white men in this area. 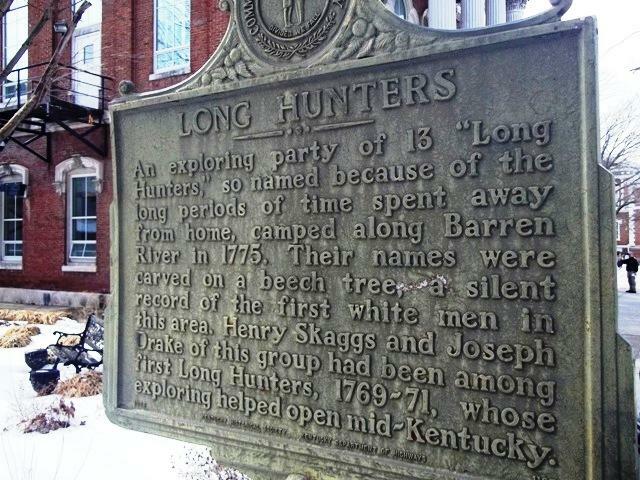 Henry Skaggs and Joseph Drake of this group had been among first Long Hunters, 1769-71, whose exploring helped open mid-Kentucky. This marker can also be identified by its HM code. 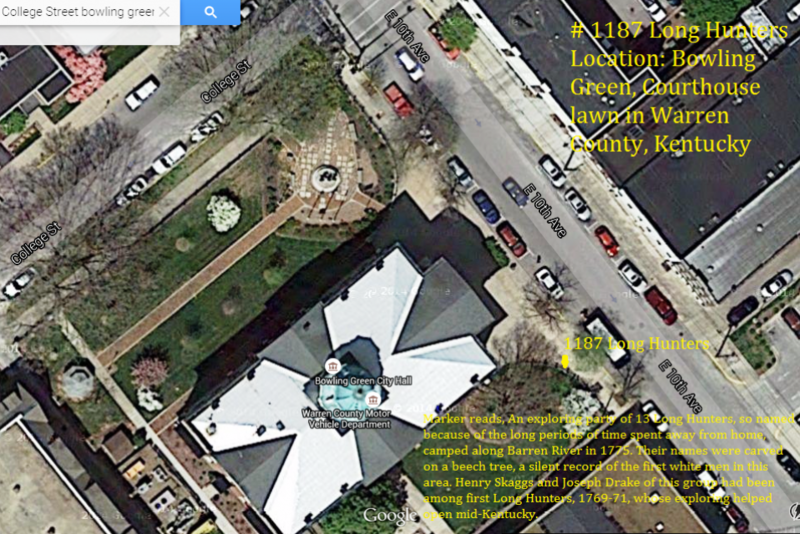 You can use the hashtag #HM1KIS in tweets, and any other place where you might refer to this marker, including when searching on this site.